The 2017 Fiat 500L will work well for those who want a compact wagon as well as those who want a stretched five-door hatchback. It is the largest and the most practical vehicle in Fiat’s popular ‘Cinquecento’ range. It is handsome, offers a wealth of features and it is, above all, an extremely affordable vehicle. That’s its biggest strength. If you want a vehicle that offers all the luxury, comfort, and practicality of some of the higher-end vehicles in a moderate price tag, there’s no better option than the Fiat 500L. Edmonton families looking for a budget-friendly compact vehicle should seriously consider this one. 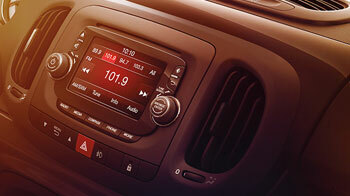 This year, with the 500L, Fiat is on a mission to de-clutter and keep it simple. It has cut down the available trims to three with a base Pop, the adventurous Trekking, and a luxurious and comfortable Lounge. Each of the trims get even more features and options without a serious impact on the price tag. The turbocharged four-cylinder engine does wonders on the road and is good enough for a joyous and fun ride. The family can enjoy a comfortable long ride without any complains. Its decent handling and strong suspension gives you a much better control of the vehicle. Satisfactory is not the term we would use for the driving performance of the 2017 Fiat 500L. It does much more than that. It offers a much more enjoyable driving experience on the highway. 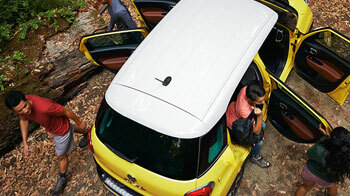 And if you’re driving the Fiat 500L, Edmonton’s certain challenging roads or weather conditions would be no match for the soft suspension of the vehicle. In addition to the available engine option, Fiat aims to keep it simple when it comes to the transmission. Whereas the previous versions had a mess of options from manual to Euro Twin Clutch, this one just sticks to a simple six-speed automatic transmission. And we like it all the more for it. The transmission offers smooth shift action. It’s responsive and incredibly easy to use. The turbocharged inline-4 is, in many ways, at the heart of the vehicles superior driving experience. It offers adequate power for mastering both the city and the highway and delivers a commendable fuel economy in both arenas. The four-cylinder takes the vehicle from zero to 60 in up to eight seconds which is a decent time for a vehicle of its size and stature. 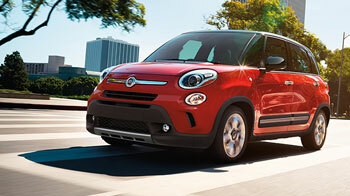 The front-wheel drive is adequate for the driving dynamics of the Fiat 500L. Edmonton drivers will find the vehicle extremely responsive to all their driving needs. The 2017 Fiat 500L takes the cute and cuddly look of the rest of the 500 series and transforms it into a small compact crossover. The additional pair of doors and the more spacious rear are not just practical features. They add to the vehicle’s external appearance. It is much more fun than some of the other vehicles in its class and has a character of its own and we respect it for that. The cabin of the vehicle is much more comfortable and luxurious than what its modest price tag would suggest. One of the first things you notice as you step inside is the huge windshield that offers an extraordinarily clear view of the road. Everything from the seats to the steering wheel is experimental, innovative, and extremely comfortable. The touch screen display is large, interactive, and extremely responsive. The many knobs on it give you a plenty of opportunity to twiddle around, the old school way. The seats are wide and offer a lot of room to stretch. And, unlike many other members of the 500 family, the compact nature of the vehicle doesn’t take anything away from the head and legroom space of the rear seats. A family of five can have a pretty comfortable long ride. 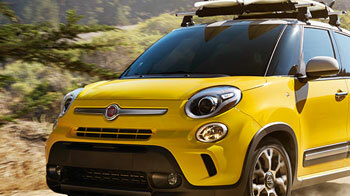 Fiat has upped the ante considerably this year when it comes to the available equipment in the Fiat 500L. Edmonton buyers will have a lot of options to choose from. The three trim choices—Pop, Trekking, and Lounge—each come with their own set of available and optional equipment. And each offers more than it did last year. The base Pop offers more standard equipment from the steel wheels to the slightly tinted glass. The Trekking model upgrades the infotainment system through a Uconnect with a 6.5-inch touch screen display and adds a white roof to suit its outdoorsy feel. And the Lounge is the classiest of them all with plenty of luxury and utility options like power lumbar adjustment, a ParkView rear camera, and a dual-zone climate control. 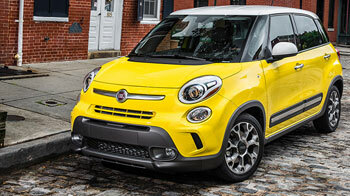 When it comes to the 2017 versions of the Fiat 500L, Edmonton families would get much less clutter and a lot more features than some of its previous manifestations. It’s an extremely affordable family-friendly vehicle that has the capability to defy your expectations in every area of activity. 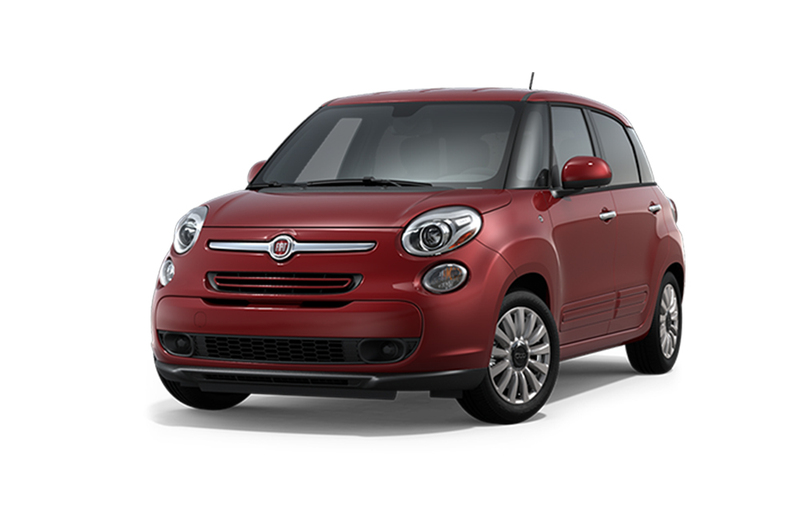 Test the 2017 Fiat 500L at Derrick Dodge! Whether you’re ready to make a purchase or just curious if this might be the right model for you, take the drive from St. Albert or Sherwood park to get behind the wheel of the 2017 Fiat 500L at Derrick Dodge Chrysler Jeep RAM. Our doors are open to serve you seven days a week, and you can always contact us for more information.